Porto’s Real Companhia Velha, established in 1756, is releasing a historic Very Old Tawny Port, predominantly 1867 wine that has been refreshed with 7% of 1900 wine. This is a rare opportunity to taste a bit of history here from something so very old. Imagine experiencing something that dates from 1867, just by mere coincidence the year of Canada’s Confederation. 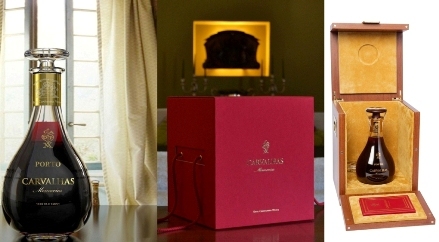 We are taking pre-orders only for this wonderfully packaged, ultra-rare and limited production (one barrel only) tawny – $3999.99/bottle. The story of this Port travels back to the harvest of 1867 at Quinta das Carvalhas, one of the most prominent properties in the Douro Valley, which is highly known for the beauty of its landscape and its spectacular vineyards. This Port unveils as a true memory of the 19th Century, preserved in time with meticulous care and an almost religious devotion. Kept at first in the cellars of the renowned company Miguel Sousa Guedes, it was later, during the 20th Century with the incorporation of this firm, left in the hands of successive generations of cellar masters at Real Companhia Velha. 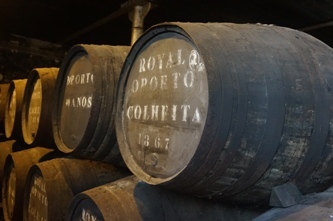 It followed a long and patient aging period at the Company’s Centenary cellars in Vila Nova de Gaia, remaining in the original barrel of old oak until reaching a stage of perfection revealed by a sumptuous bouquet and an exceptional palate. The deadline for pre-ordering is Saturday, October 1st. The port wll be air-freighted here before Christmas. 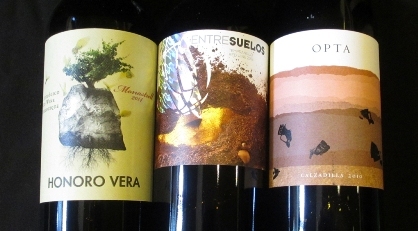 We have been expanding our Spanish section in the last little while with new wines from all regions. Spain’s long standing champ from Rioja is still going strong, but when we talk of a bargain Spanish wines, the lesser regions of Jumilla, La Mancha and Castilla y Leon are gaining steam. Definitely the wines here are cheaper and better value than Rioja. Jumilla – This historic area in southeastern Spain near Murcia, has staked out its claim with the production of red wines with wines of fine color and smooth palate usually made from the Monastrell (Mourvedre) grape. Getting very popular, its aromatic nose is beguiling and you can drink the wines young with food. Castilla y Leon – Situated in northwestern Spain, Castilla y Léon is known for its traditional beauty, plentiful fortifications, and historical importance. It accounts for about one-fifth of the country’s total surface area and stretches roughly 220 miles (355km) from the centre of Spain almost all the way to the north coast. Equally wide, it connects its famous neighbor Rioja with the border of Portugal. It encompasses Ribera del Duero, Toro, Rueda and Bierzo regions. La Mancha – a natural and historical region located on an arid but fertile soil of central Spain, south of Madrid, from the mountains of Toledo to the western hills of Cuenca. The terrain has reddish-brown sandy clay soil that are poor in organic material, and rich in lime and chalk. Tempranillo and Garnacha are the common grapes grown. There are many more great values in our Spanish section, drop by to check them out, or else shop online. Salute! The Nikka Whisky Distilling Co. Ltd. is a producer of Japanese whisky and other beverages headquartered in Tokyo. Founded in 1918, Nikka has risen to become Japan’s second largest distiller, producing a wide range of single malts as well as their impressive blended whisky range. The founder, Masataka Taketsuru, travelled to Scotland in 1918 to learn the process of distilling Scotch whisky first hand. Nikka also owns the Ben Nevis Distillery (acquired in 1989) in Scotland. The company operates a number of distilleries and other facilities in Japan, including two Japanese whisky distilleries, the Yoichi distillery in Yoichi, Hokkaidō (established in 1934) – produces rich, peaty and masculine malts while the Miyagikyo distillery in Aoba-ku, Sendai, Miyagi Prefecture, Northern Honshū (established in 1969) produces a soft and mild malt. In 2008, Yoichi 20 Year Old was voted best single malt at the World Whiskies Awards. 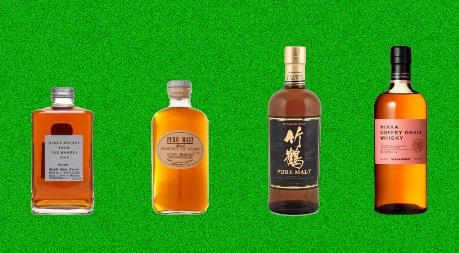 Japanese whisky has been on the ascent, and Nikka typifies that movement. Try for yourself to see what the fuss is about. Salute! Our September Case of the Month – $217.02 is a great sampler case for those wanting diversity, discovery and affordability in everyday drinking wines. We choose wines for this case to showcase their true varietal characteristics from wine regions from all over the world. It is seasonal in nature as well, more whites and pinks and lighter reds during the summer and more full-bodied reds over the fall and winter. It is a great way to discover your palate besides always having some wine on hand. September features wines from all over the world including Italy, France, New Zealand, Spain, Argentina and Australia with a wide assortment of grapes for every drinking occasion. You can read more information and purchase the September Case of the Month online here..